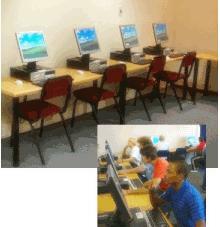 Comfortable fully equipped computer training rooms available in Centurion. Can seat 30 max (4min) with high-spec computers for each delegate. Multiple layout plans are available for all the rooms, all training preferences can be accommodated (traditional classroom, boardroom, theatre, or U-shape styles).